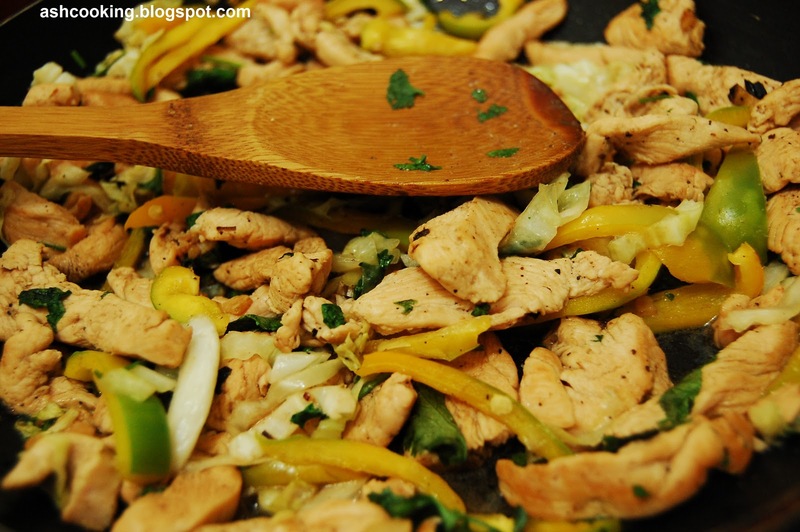 Eating lean meat involves a lot of positive sides; chicken, therefore, if added in your regular diet accounts for good health. Chicken contains a host of essential nutrients required for the maintenance of your body like vitamin D, iron, zinc, B-6 and B-12. However, the hide or skin of the chicken carries a large amount of body fat and hence it is wise to have chicken without skin. Besides, the liver though packed with vitamins is high in cholesterol content especially in LDL (bad cholesterol). Needless to say that anyone having a sickness from cholesterol should religiously avoid eating chicken liver. Anyway, in the recipe below I am not using chicken liver at all or skin. Rest assured that this dish is not going to make any adverse effect on your health. 1) Heat olive oil in a pan. Add garlic and sauté till brown. Add the chicken pieces, salt and black pepper powder. Further after 2 minutes add balsamic vinegar and 1 tbsp of water. Sauté. 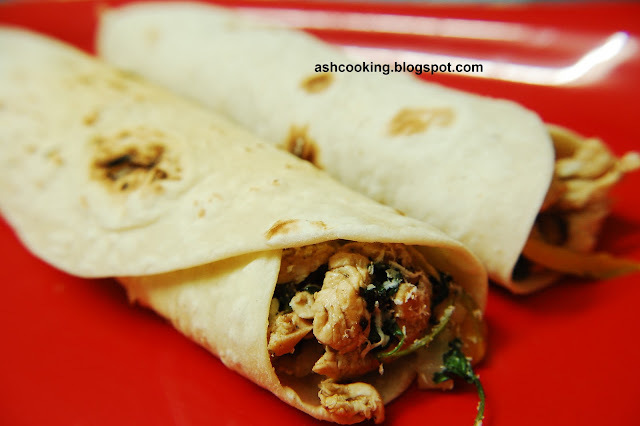 2) When chicken becomes a bit tender, add cabbage, bell pepper and coriander leaves. Stir around and cook till all the vegetables and meat are cooked through. 3) Meanwhile, knead dough using all-purpose flour, a pinch of salt and required quantity of water. 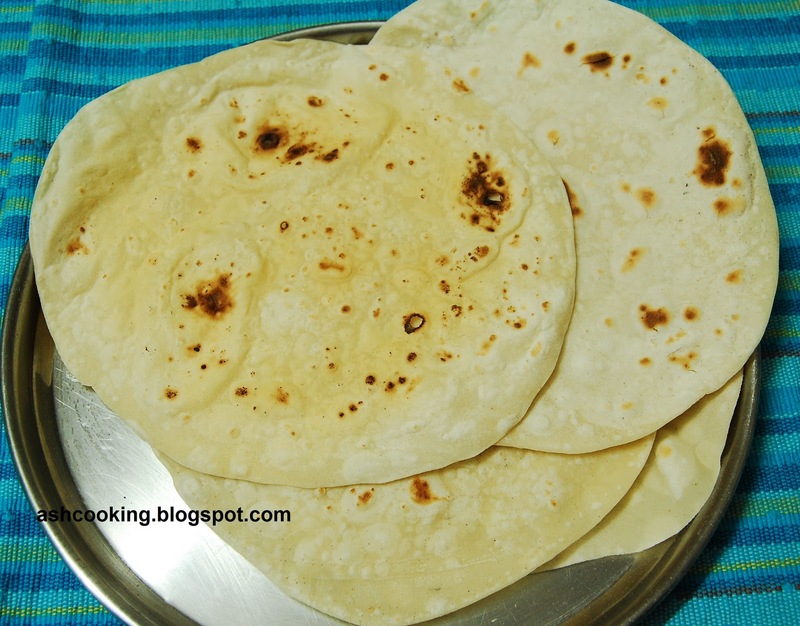 Make small balls from the dough and roll them out using a rolling pin into the shape of a paratha. Roast the parathas on a tawa. 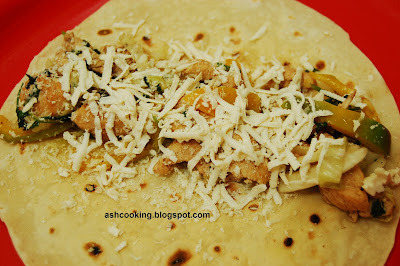 4) Along the middle of a paratha, line the chicken mixture and pour grated cheese on top. 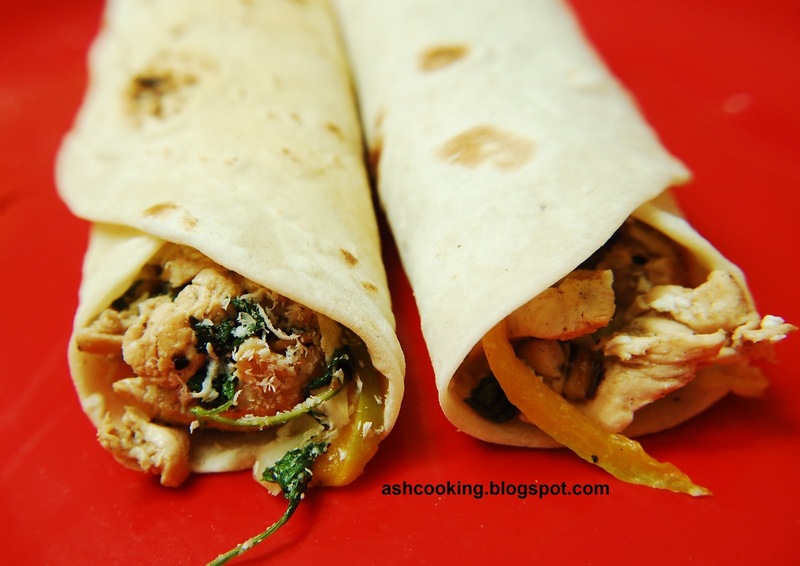 Wrap them into a roll. 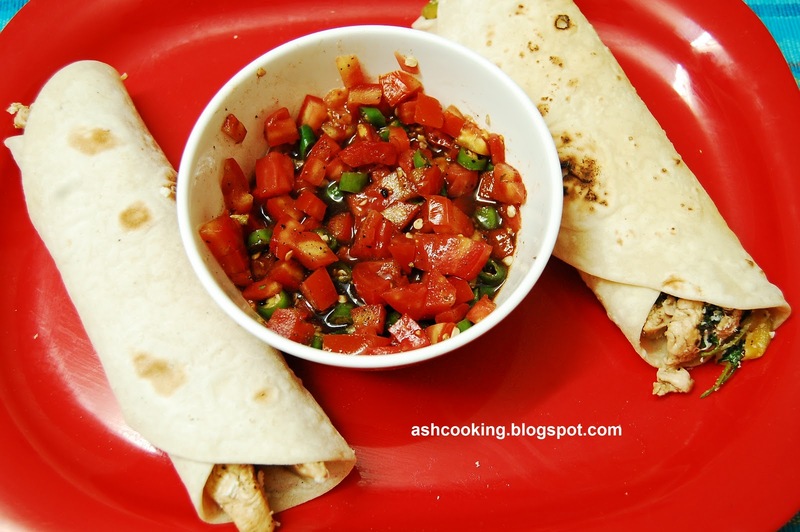 5) For salsa sauce, mix together the following ingredients in a bowl - tomato, green chillies, 1-2 tbsp of balsamic vinegar, salt and white pepper. It's ready. 6) Serve the chicken wraps hot with salsa sauce.